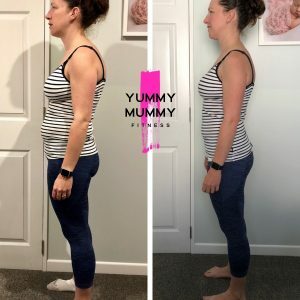 ‘It’s such a good feeling to finally make it back to my pre pregnancy weight (or what I call my normal weight) in just under 18 months with you and the YummyMummy Team. Plus I now have the added bonus of having muscle tone and being super fit! 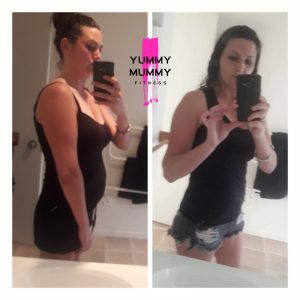 18 months ago when I joined I was so worn down and confused. I’d spent a year desperately trying to loose the weight by myself. 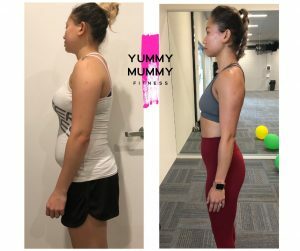 I started running, brought a home gym, went Keto, took advise from friends, family, the internet and was getting nowhere. 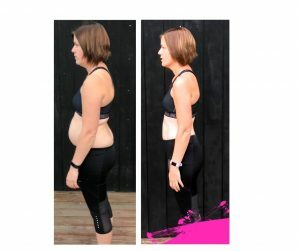 I finally went looking for a programme online and was tossing up between YummyMummy or another online program and while the other programme seemed very flashy and professional I’m so glad I went with you. 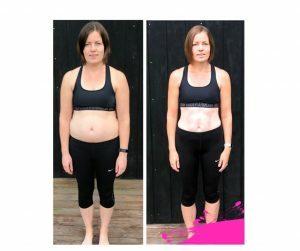 You are a wonderful motivator and your personal touch from the fitness videos to your messages of support in the groups are amazing. 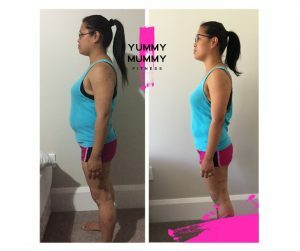 You and your team are what makes YummyMummy great! Thank you for clearing my head of a million different opinions and making everything so simple. I couldn’t have done it without you.